Our company was built on the foundation of stewardship. Simplicity VoIP was founded on the spirit of service to our customers and organizations who enrich the lives of those in our community. Over the years, we have supported numerous groups and non-profits including The Richmond Ballet, St. Andrews School, Beacon Tree Foundation, The Richmond Kickers, and The Steward School as one of many ways to give back. Recognized by Richmond BizSense in the 2018 Generosity, Inc., Comtel was ranked number 34 among local area businesses. In addition to financial contributions, company leaders and team members share their time and talent with numerous non-profit, educational, and recreational outreach programs. December 1, 2016 marked the 25th anniversary of Comtel Communications, parent company to Simplicity VoIP. We were founded in 1991 with the idea that we should provide more than just a product or service. Throughout the years, our investment in the surrounding community has been and remains one of our most important values. To show our thanks, we wanted to give back to our surrounding Richmond area. In celebration of our 25th anniversary, instead of having an event, we decided to invest in the community that has allowed us to grow. For each month in 2017, team members will be choosing a charity that is near and dear to their hearts for Comtel's donation. Through our actions, we strive to act as a shining example of what it means to be a good steward to one's community. Each charity we pick will be featured in our newsletter, can be found below, and will be posted on our social media to raise awareness about how that organization makes a difference. We want to thank our customers and friends for your support over the past 25 years. Without you, we would not be able to give back. For December and concluding Comtel Communications’ Gifts of 25, Pete Kraehmer directed our donation towards the Noblemen. The Noblemen is a non-profit organization based out of Virginia Beach, VA. Their mission is to perform noble deeds to kids who are in need of help. If you would also like to donate, click this link. For the month of November, Shelton Copeland directed our donation to the Cameron K. Gallagher Foundation. Cameron Gallagher's desire was to create a 5k race to raise awareness about teenage depression. Her goal was to let teens know it was ok to speak up about personal battles. To learn more about her cause and/or to donate, click this link. For the month of October, Denis O'Donovan decided to direct our donation towards Hero Palooza. Hero Palooza is a 5K run/walk and a family festival with a crab feast to raise money to fight blood cancer. 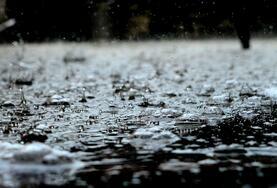 Please donate to this cause by clicking the following link: MobileCause. For the month of September, Jim Brooker decided to go beyond our immediate community and make Comtel/Simplicity VoIP's donation to the victims of Hurricane Harvey. Join us in supporting the Texas community at CompTIA or Ben Bronston. If you would like to make a donation, please click one of the follwing links: Ben Bronston or CompTIA. For the month of August, the YMCA Annual Campaign was chosen by Jack Wheeler to receive our donation. 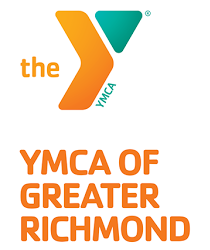 The YMCA raises money to promote and strengthen youth and community development in the Greater Richmond area. If you would also like to support Richmond youth, please visit their website at www.ymcarichmond.org. This month Mike Martin chose to direct our donation to ASK Childhood Cancer Foundation. 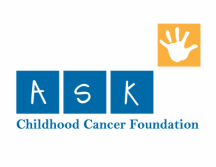 ASK Childhood Cancer Foundation's mission is to make life better for children with cancer by providing Assistance, Support and Kindness when kids and their families needs it most. From the moment of diagnosis, through treatment and beyond, ASK is there to help. We are happy to support those who assist during incredibly difficult times for those in need. We have joined forces with Maymont to support their annual fund. They also have new otters! Yes, they are super cute. We are so happy to support one of Richmond's most beloved parks. Whether it is the nature center, the children's' farm, or the bears, Maymont has been a pillar of the Richmond community for many years. Here is to many more! May's Charity of the Month, RVAccess, was chosen by Amy Humphreys. It is a wonderful organization affiliated with our partner, The Richmond Kickers. It offers children with special needs the opportunity to play soccer. Open to boys and girls, ages 4019, RVAccess holds fun activities and small sided games designed to suit each athlete’s individual needs. Partnered with a buddy, athletes use large and small soccer balls, hula-hoops, cones, play in shortened games learning soccer skills and a love for the game, all a supportive and fun group environment. April's Charity of the Month is the American Cancer Society of Virginia. ACS Virginia has over 854 programs and services to help Virginians manage cancer treatment and recovery and find the emotional support they need. And best of all, the help is free. They also host almost 75 fundraisers throughout the Commonwealth to raise awareness and funds for research, treatment and support. Tami Landers, our Controller, selected ACS as April's charity and we are grateful to have such an invaluable resource in our state. Please learn more about how you can help fight cancer with us by visiting their website. March's Charity of the Month is Make-A-Wish Greater Virginia. Make-A-Wish serves a unique, and vital, role in helping strengthen and empower children battling life-threatening medical conditions. Founded in 1987, this dedicated non-profit organization has since granted the wishes of more than 4,600 children. Chosen by our Client Services representative, Lenada Crabb, we are delighted to help Make-A-Wish celebrate its 30 years of generosity with a little bit of our own.For more information on how you can support them, visit their website. For February, Patrick in our Client Services Department has selected Thelma Crenshaw Elementary School in Midlothian as our charity of the month. 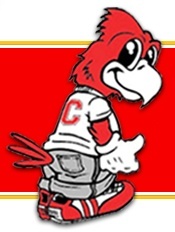 Crenshaw Elementary celebrated its own 25th anniversary in 2012 and continues to provide educational services to pre-kindergarten through fifth grade students. As we all know, many teachers buy their own supplies for their students, so Patrick wanted to help two teachers he knows go above and beyond in their daily duties. Christina Lorenz teaches 3rd grade and Jesse Kelly teaches 5th grade at Crenshaw. Each teacher will receive Visa Gift Cards to purchase 25 Classroom Book Caddies each in which their students can store their books. For January, Patti, in our Client Services Department, chose BARK. Patti has always had a special place in her heart for dogs, so when she decided to foster this beautiful German Shepherd, Lobo, from Bark, she also asked that our January donation go to purchase 25 bags of grain-free dog food for the organization. Patti and Lobo went to Bark to make the donation and Lobo was glad to hand the credit card over to his old friend, Bob. We hope you'll join with us to support BARK. There are dozens of wonderful dogs there just waiting for the right owner. Even if you don't have room for a dog, please consider a donation to this all volunteer organization. Feedmore takes care of thousands of Central Virginians everyday through their pantry and meals-on-wheals. Our first donation is 2,500 meals for those in need. In this holiday season, we cannot think of a more meaningful way of saying thank you to our community. Please join us in giving back this Christmas.